Put in Bay Ohio has many unique and quaint bed & breakfasts and guest houses that offer the charm of island living in a warm relaxing island environment. Put-in-Bay's Bed & Breakfasts and Guest Houses invite you to take a tour of our historical homes and experience all that PutinBay has to offer. English Pines Bed & Breakfast. The English Pines is a circa mid 1800's original island settlers' home. A lovely historical home with Greek ornate styling, the English Pines is within walking distance to downtown. Situated on two acres of land, the English Pines is conveniently located 2 blocks from the winery and caves. Looking for a cozy retreat for a business meeting? How about an intimate location for your wedding party? 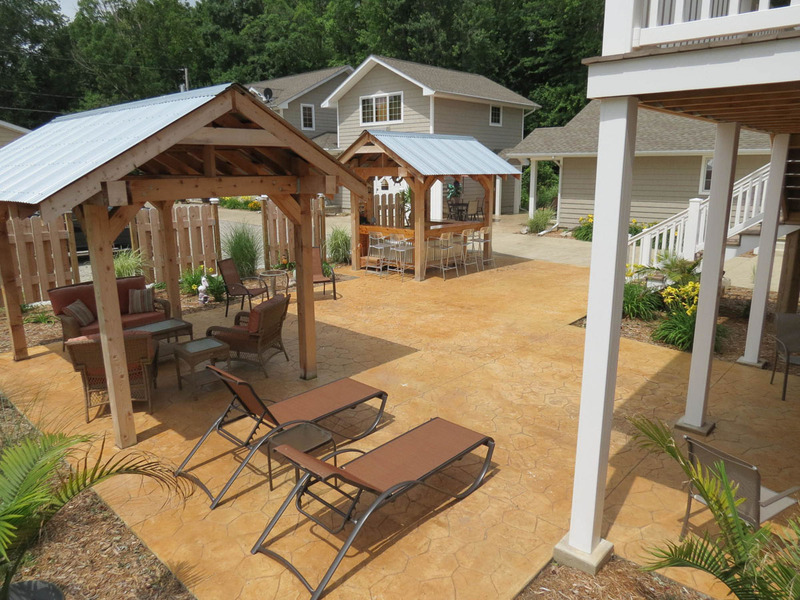 The English Pines caters to many groups and will even host your family reunion, wedding or business retreat. All of our rooms are air conditioned and have televisions. A delicious and bountiful continental breakfast is included daily. Enjoy your stay in one of our many themed rooms, including The Monet Room, The Seashell Room and The Florida Room. AHOY INN Guesthouse. With the best island location, AHOY INN Guesthouse offers charming european themed and upscale island style rooms, all with a king bed, private bathroom, TV, fridge, WiFi, and AC. Guests can enjoy complimentary bicycles and golf cart rental on site. Only 2 minute walk to downtown shopping, dining, and entertainment. Please, visit Ahoy Inn's website and FB page for current specials, photos, guest comments, and a full listing of amenities. Friendly innkeepers will make your island getaway special and memorable! Ashley's Island House Bed & Breakfast. We are located one block from Put In Bay's popular downtown restaurants, bars and entertainment. This historic 1860's Victorian Bed and Breakfast is the oldest and largest on the island. A complimentary Deluxe Continental Breakfast is served every day in our dining room. All 12 rooms have a Queen Size bed, private bathroom, Direct TV, central air and free Wi-Fi. A large front porch, parlor, hardwood floors, paddle wheel fans and antique furniture add to the charm of this Inn. Free bicycles, a guest refrigerator, pool privileges, and special golf cart rates are available for our guests. Ideal for business meetings and family reunions. Ashley's Island House is a 2015 Trip Advisor 5 star Certificate of Excellence winner. Harriet's House. Harriet's House has expanded its little corner on the Island of Put-in-Bay. We now have available Harriet's House, Town Houses, Island Suites and Bungalows. We are centrally located one block south of the downtown on Erie Street. Harriet's House can accommodate two guests in our new bungalows, four to six guests in our Island Suites and eight to twelve visitors in our House or Town Houses. You will not find more attractive, better maintained or cleaner facilities anywhere on the Island. 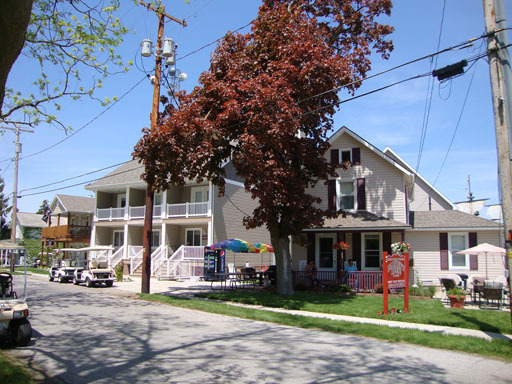 Our location allows you the opportunity to walk to all of Put-in-Bay's hot spots and family fun centers. Harriet's House also provides golf carts at reasonable rates with free overnight rentals for all our guests. Freshwater Retreat. An organic experience is guaranteed when you stay with us... Environmentally friendly linens and toiletries abound, along with our spa-like robes and slippers. Enjoy our steam shower or outdoor nature shower... or how about scheduling a massage in our wellness center? An organic, light breakfast bar is at your disposal as well as our community kitchen. Only five rooms are rented in our historic home, set among gardens and our lavender walkway. Come stay at the home of a fifth generation island girl and enjoy rest, relaxation, and rejuvenation. Getaway Inn. The Getaway Inn Bed & Breakfast is centrally located in a quiet area of the Village. It is just two blocks from the main street of Put-in-Bay, the caves, winery, family fun center and churches. The B&B is fully air conditioned and has six comfortable rooms. All rooms have a queen size bed, cable television and a private bath. One room has a second queen size bed, two rooms have a twin sleeper sofa and one room is a suite with an additional two twin beds and a sitting area with a twin sleeper sofa. Relax on the front porch or beautiful patio. During the week, children are welcome. On in-season weekends, we limit our rooms to two persons in each room. Bodee's Bungalow Guesthouse. Luxurious guestrooms, exclusive amenities and impeccable grounds, catering to couples. Bodee's Bungalow is the best of the best, top rated on Trip Advisor, a block from downtown with lavish king size "heavenly" beds, roomy private baths, A/C, TV's, mini refrigerators, coffee makers and WiFi. The property boasts a tropical theme, Tiki & Courtyard patios and on-site golf cart rentals. We offer a variety of guestroom styles and budget friendly pricing, all listed on our website along with a 360 virtual tour. Arbor Inn Bed & Breakfast. Arbor Inn B&B is located on a secluded 3-acre wooded lot overlooking vineyards - a birdwatcher's paradise. 4 spacious rooms - all king bed, private bath, A/C, satellite TV/VCR and hair dryer. Hot breakfast served weekends, deluxe continental breakfast weekdays. Golf cart rental available. We cater to couples looking to enjoy the quiet side of island life rather than the "party" crowd. Niagara Guest House. Centrally located in a quiet area on Langram Rd. (Airport Rd.). Just a 10 minute walk or less to downtown Put-in-Bay, the caves, winery, family fun center and churches. Explore Put-in-Bay by renting one of our (3) four-passenger electric golf carts. Anne's Parker House. A century old home on Put-in-Bay, South Bass Island. It sleeps up to eight and is suitable for couples, or families. We can accommodate fishing parties in the spring and fall. (NO bachelor or bachelorette parties.) The home features high ceilings, lots of woodwork, foyer, open stairs, large living room with cable TV, VCR, DVD, dining room, and front porch. The kitchen has china, cutlery, pots and pans, smooth top stove, dishwasher, microwave, coffeemaker, salt, pepper, sugar and paper products if you wish to prepare food. Rooms are individually air-conditioned and heated. The house has 1 1/2 baths. All linens are provided. Smoking is allowed on the large front porch or backyard patio. Toledo House. 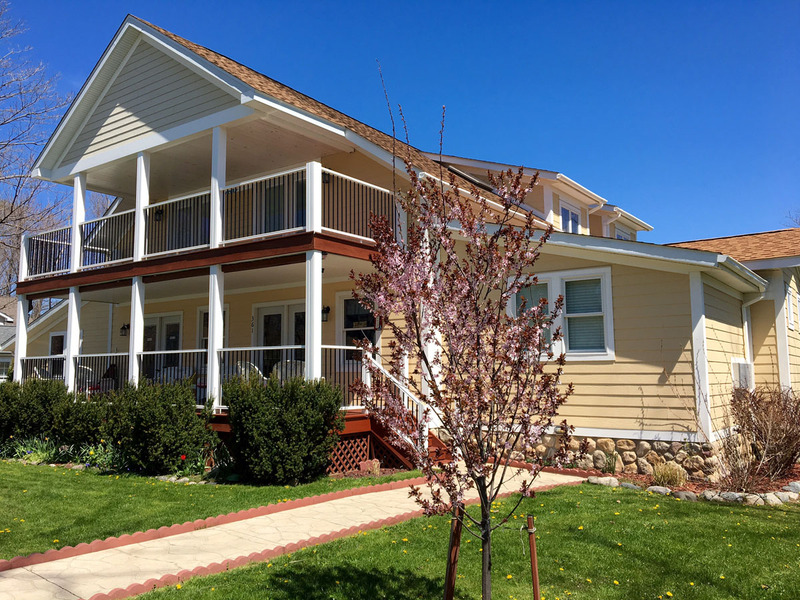 These lodgings are a 2 to 5 minute walk to the Jet Express, the bus to the car ferry, Perry International Peace Memorial and Visitor Center, downtown PutinBay, night life, dining, and more, yet located in a quiet area. Explore Put in Bay's caves, butterfly house, family fun center and more by renting one of our (3) four-passenger electric golf carts. The house accommodates only couples, families and people on the island to fish. If you bring your own vehicle and trailer, there is plenty of parking. We are only a 2 or 3 minute walk to the boat launching ramp.